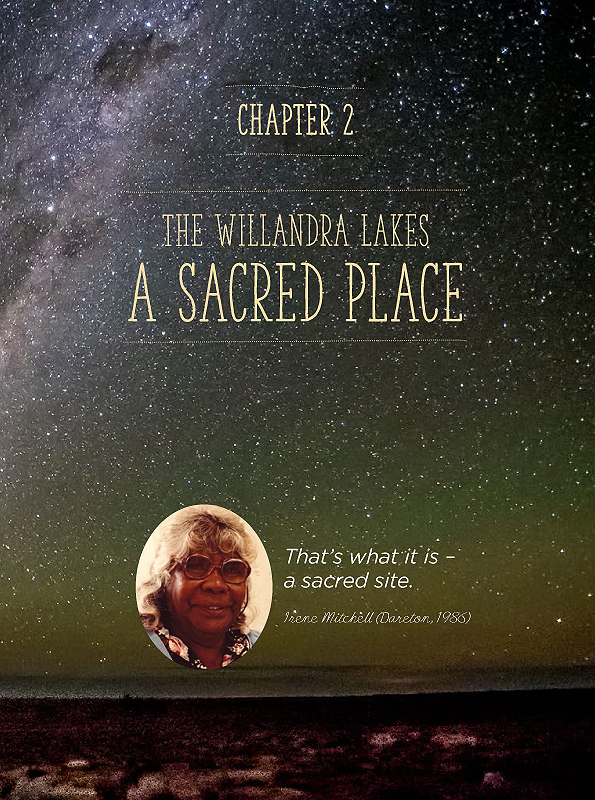 The Mungo Report is a Statement of Significance of the Willandra Lakes World Heritage Area to Aboriginal People of Western New South Wales. The Mungo Report is a historic document compiled between 1985 and 1991 by the Western Heritage Group Inc. This was an important period in the re-assertion of Aboriginal rights and obligations to land and culture. 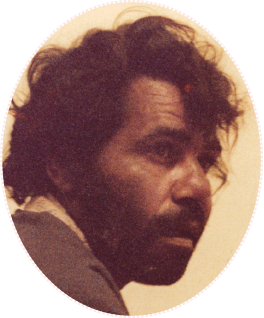 The Western Regional Aboriginal Land Council led the land and culture movement in the far west of NSW and included a Heritage Working Group that compiled The Mungo Report. The style of the report reflects the assertive mood of that time and the need to be meaningful to Aboriginal readers. A draft of The Mungo Report was circulated in 1992, but when Regional Land Councils were abolished by a hostile NSW Government, the resources to finalise and publish the report were lost. 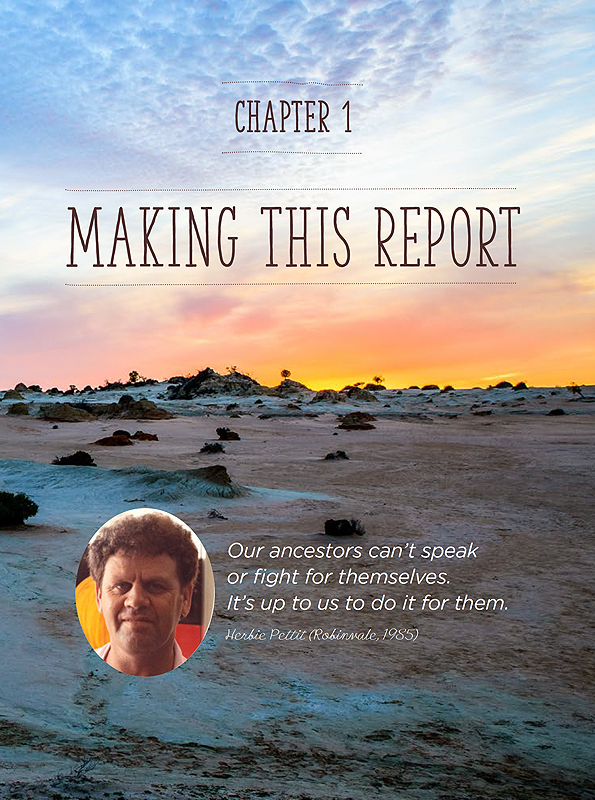 After 25 years, funds finally became available to review and prepare The Mungo Report in a format that honours the original vision. This publication now brings to light the memories, ideas, beliefs, knowledge and opinions of a wide range of Aboriginal people connected to this outstanding heritage place. 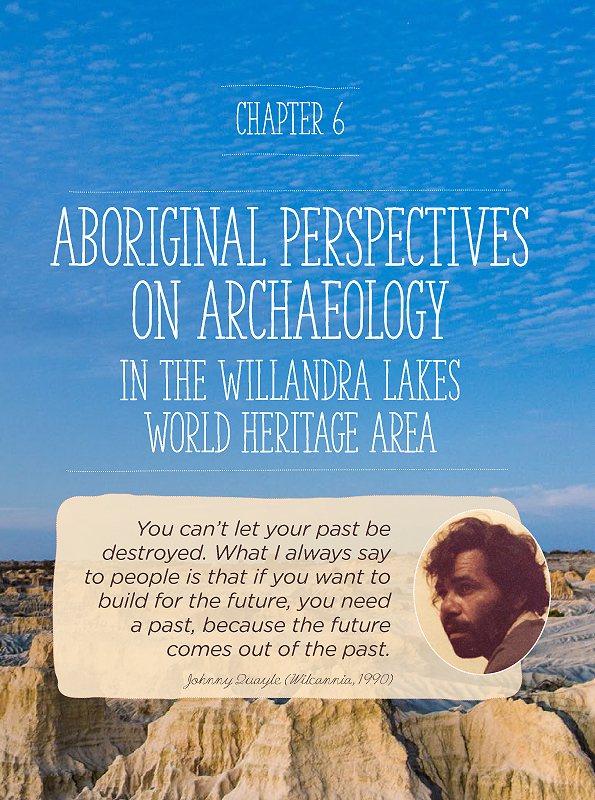 Their strong messages are still relevant to ongoing discussions about the relationship between Aboriginal people and the study and management of their cultural heritage today. You can’t let your past be destroyed. What I always say to people is that if you want to build for the future, you need a past, because the future comes out of the past. 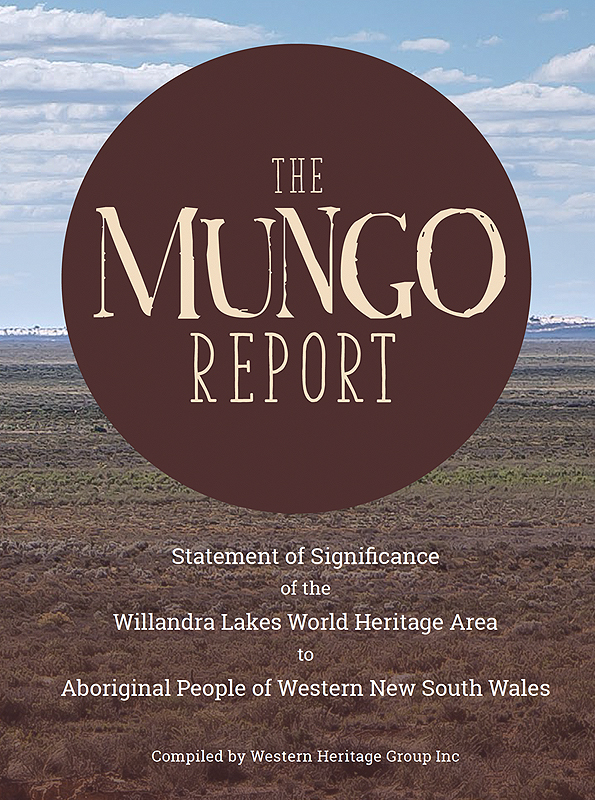 Currently, there are five chapters of The Mungo Report available to be viewed on this website. Click on a thumbnail below to view a chapter. The Heritage Working Group of the Western Regional Aboriginal Land Council began work in 1984. In 1992 it became the Western Heritage Group Inc and has continued to work on a variety of oral history, language, heritage and publication projects. Most of the Group’s projects are done by the members working together as volunteers.